Company valuations are not one-size-fits all, but every company needs to go through them eventually. It’s a vital practice that answers a simple, yet not easy-to-answer question: What is this business worth? Whether you’re a small startup with just two employees or a large international corporation, business valuations are important in a number of situations. Here are three reasons why a proper business valuation is important. Valuations are needed when seeking investors or capital. For a startup, it can be difficult to measure company worth. In the early stages, you may not have any capital at all. But small business valuations aren’t just based on revenue; they are also based on potential. For startups, the primary goal is to find investors that are willing to take a shot on ideas and help it flourish. In order to do this, business owners need to show investors a number of things. They need to know that the owner of the company has a good track record. Were they previously employed with a reputable company? How did they perform? Investors also want to see growth within a short period of time. A year and a half is just about the right amount of time to show them what a startup is capable of, and performance needs to be consistent. While huge surges in revenue are celebrated internally, when it comes to investing, these sharks don’t want to take a chance on just anyone. They will likely compare prospective businesses to competitors as well—what makes one business stand out stand out from another? What kind of potential do they have? That’s what determines value in the early stages. Valuations are needed when bringing in partners or sharing equity with key employees. Making deals with potential partners or shareholders can be a nightmare if a business hasn’t undergone a recent valuation. Everyone’s view of value tends to be subjective. Valuing the business makes things much more concrete. When it comes to shareholders, too often companies avoid confrontation and conflict, and instead depend on a “gentlemen’s agreement” that is not truly representative of the equity at stake. It’s best for principals to buck up and have those uncomfortable conversations. Start new partnerships on the right foot by conducting valuations. Valuations are an important seller tool for business owners. When the time comes to sell, entrepreneurs want to make the most money possible. But aside from the revenue that a company generates, what other valuables does it hold? When calculating the worth of a business, assets are key variables. The real estate that a company operates from, its inventory, intellectual property, and any equipment that the business needs to operate all need to be factored into any small business valuation. 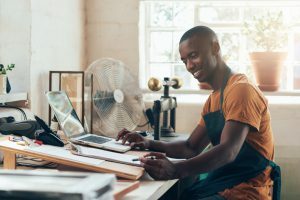 It may sound complicated, but the reality is that just two things need to be done in order to start determining a business’ worth: determine why it needs a valuation and assemble the necessary paperwork, tools, and information. To learn more about seeking the right valuation options for every unique situation, consult Banker Valuation, or view our video tutorial to see our valuation software in action.